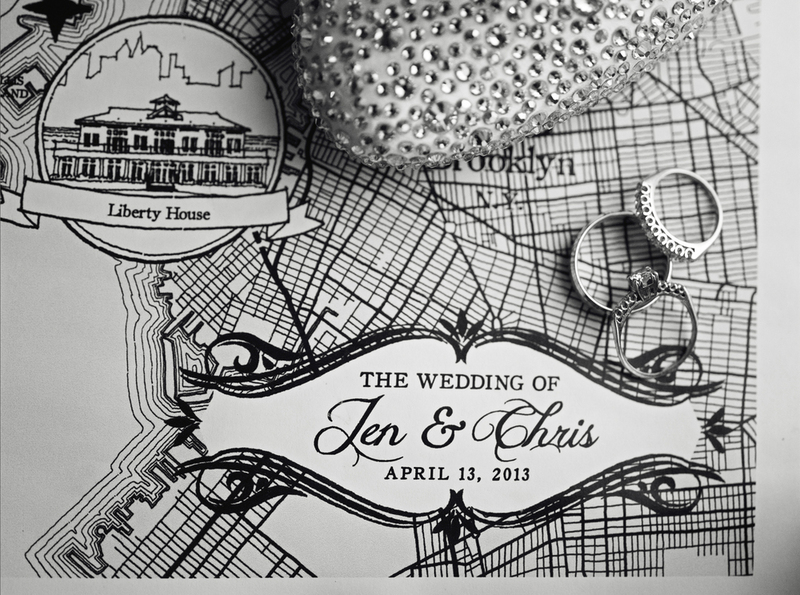 Recently, I had the pleasure of working on a wedding map to celebrate the union of a very special couple in NYC. 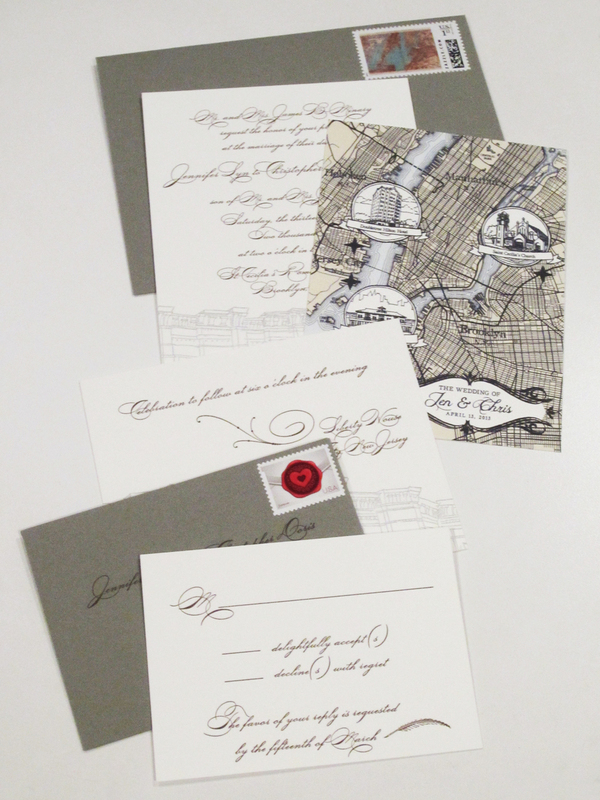 The map was originally designed as part of their invitation set, but the exceptionally creative bride didn't stop there. She came up with several creative ways to use the map to brand her event. From party poppers that made a beautiful focal piece on the the table setting, to a framed map on display, to a lovely background for her accessories, I'm honored that my artwork was so prominently featured at their beautiful Brooklyn wedding! 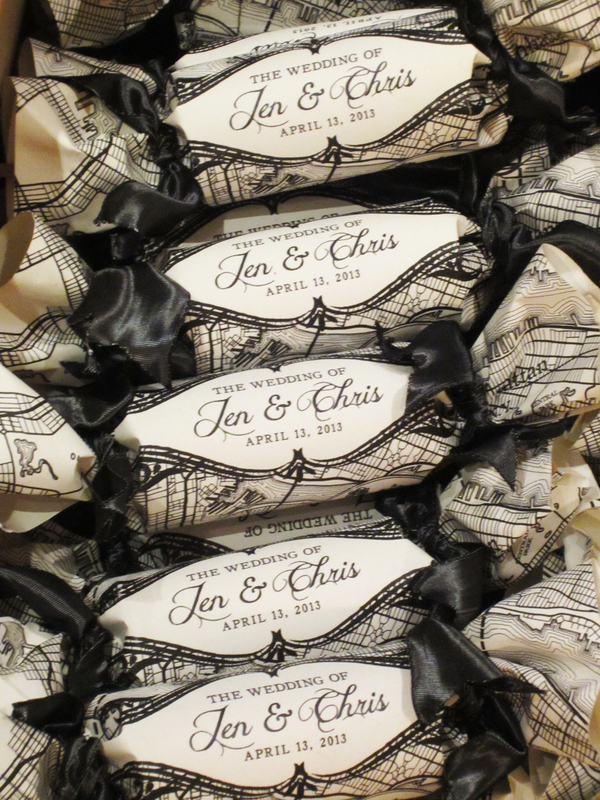 Thanks again to Jen and Chris for choosing me to design their special wedding map!